13. 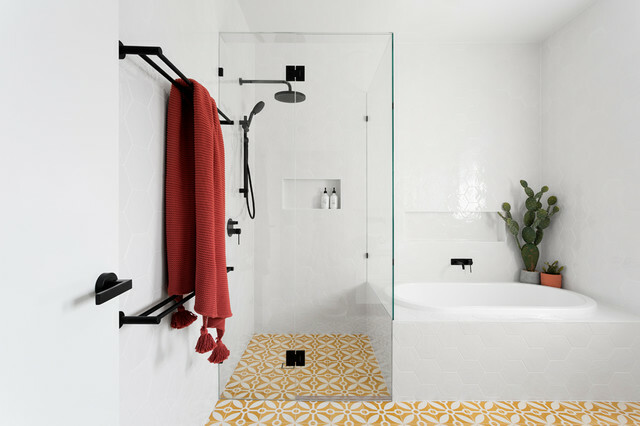 Location: North Caulfield, VictoriaDesigner: GIA Bathrooms & KitchensFeatures: A yellow floor that dares to be different. Georgia Madden added this to How Do I... Choose the Right Hot-Water System? What size tank do I need? To work this out, you’ll need to factor in the size of your household, the number of hot-water outlets, how many appliances in your home use hot water and how many people use hot water at the same time. The best thing is to speak to an expert, such as a plumber, for advice.